Following the successful launch of this project in November 2016 we are delighted to report a fantastic response and we would like to thank all those generous people who have donated some or all of their government winter fuel allowance. Your donations have already helped a number of families and individuals in the Henley area. Working with NOMAD and Citizens Advice Henley, we have been able to ensure the heating stays on in sometimes quite desperate situations where families have tried hard but still hit on hard times. We know there will be many more families needing help. Henley Lions can only help in these situations with your support. The smiles and sense of relief on the faces of those we have helped is an enormous thank you to you. If you would like to join the many people who have already donated please visit our web site www.henleylions.org.uk click on the DONATE button and you will be re-directed to the Henley Lions Virgin Money Giving account where under “Support Us’ you can ‘Make a Donation’ and follow the instructions. Please Gift Aid if you can. Alternatively email our Treasurer at donate@henleylions.org.uk who will send you details of how to donate. Thank you again for your support and we assure you every penny of the money donated is solely for helping those in need who cannot pay their fuel bill. Martyn Sheldrake presented Henley Lions with a cheque for £3,000 on Friday, 3 February 2017. 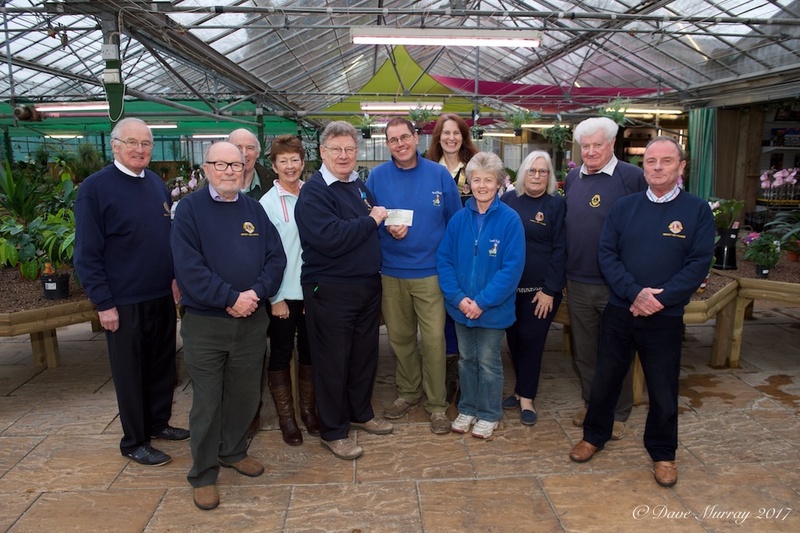 The funds are the proceeds from this year’s Santa’s Grotto. As previously reported, Santa saw 994 children in his Toad Hall Grotto in the run up to Christmas 2016. Henley Lions receive £3.00 for each child Santa sees and while we didn’t quite reach the magic total of 1,000 children, Martyn made up the shortfall to present us with the full amount of £3,000. These funds will be used to support local children’s charities.